The Department of Posts (DoP) will soon seek Cabinet approval for Rs 240 crore for setting up Post Bank of India. The DoP has plans to set up Post Bank of India under payments bank licence. The Reserve Bank of India has already issued licensing norms for niche banks -- payments banks and small banks. The DoP, which has applied for a payments bank licence, has a hybrid model in mind to operate Post Bank of India. Reserve Bank Governor Raghuram Rajan yesterday had said while the banking sector is set to undergo changes in the next few years, "we are going to possibly have postal bank". "The Department is in the process of seeking approval for about Rs 240 crore from Expenditure Finance Committee which will then need nod from Cabinet," an official source told PTI. As per RBI guidelines, payments banks would offer a limited range of products such as demand deposits and remittances. They will not be allowed to undertake lending activities and will be initially be restricted to holding a maximum balance of Rs 1 lakh per individual customer. According to a source, Communications and IT Minister Ravi Shankar Prasad has approved hybrid model suggested by Ernst & Young which prepared detailed project report on Post Bank of India (PBI). "E&Y has come out with three models but suggested preference to a hybrid model. 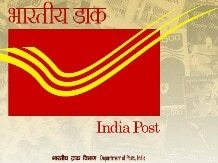 Under which about 600 branches will directly operated by PBI staff in post office premises and transactions in other parts of the country will be supported by India post staff," the official said. Post Bank of India is proposed to have its own employees and IT infrastructure. The transaction handled by India Post , employees will be entered in to computer server of PBI. The Department expects revenue of over Rs 550 crore from PBI in first 5 years. "India Post will earn from every transaction it will carry out for PBI and rents that it will get from its branches. India Post financial services like saving account, postal life insurance will continue as it is," the official said. The DoP will evaluate its five year performance as payments bank and then it will take call of setting up full fledged banking service.